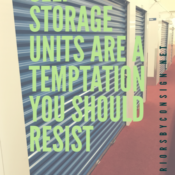 Self-Storage Units Are A Temptation You Should Resist! This is #8 of 10 Things to Expect When Downsizing. See links to additional posts to the right or below. Often when people begin the process of downsizing the idea of renting a storage unit is tempting. When tasked with going through your own items or those of a loved one, the process can be overwhelming. You must decide what to keep and what to gift, donate or consign. The thought of having to touch every item and make a decision on what to do with it, is daunting! It is inevitable that, at some point in the process, you will begin to look for a quick fix. Easier solutions typically come in 2 forms; hire an auction house or estate sale company to come in and handle the whole thing, or, move it all to a storage unit and deal with it later. The Auction/estate sale option is tempting and can be a good choice if the items left in the house are not current or not going to bring much money. The biggest benefit of using an auction house or estate sale business is that they will come in and handle the whole sale, leaving you with an empty house at the end of the sale. Most estate sale businesses will donate what is left after the last day of the sale. We have had customers with both good and bad experiences with this process. If you pursue the auction or estate sale option, be sure you do your homework. Ask for references, and then call people that have used them. 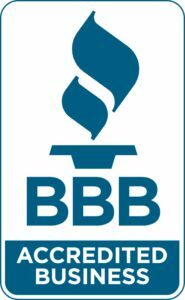 Check with the Better Business Bureau in your area and do all you can to confirm that the company is reputable. It is imperative that you read the fine print before signing the contract and understand the process. Ask about price reductions and understand how your items will be priced. In our experience, customers that have been happy with auctions and estate sales have gifted and consigned their best furniture pieces prior to the auction. The customers that have been unhappy are those that felt their items went for pennies and were drastically reduced too quickly. Remember and Estate Sale or Auction is typically a weekend event and items will be marked down quickly. It is important to know the current market value of your items so that you and the person helping you are on the same page. If you are paying to store your items be sure you have them in the proper environment for safe keeping. There is no sense in keeping photos, keepsakes or even furniture that are then ruined in the storage process! It is wise to use plastic seal-able containers for small items and always wrap your furniture. If you are going to self-store, rent a climate controlled space and be sure you have insurance on the contents. Better yet, gift, donate or consign your items now. It will save you money, give you closure, and provide peace of mind that procrastination will not! 8) Self-Storage Units are a temptation you should resist! 10) Get a plan – read #10 Get a Plan!